Stride is the latest BTE offering from Unitron featuring the company’s North sound processing platform. It uses all of the North features, including SpeechZone 2, SoundNav and Sound Conductor to produce ultra-powerful 2X sound processing power. Stride is designed to help patients focus better on natural sound and provide a positive listening experience in all listening environments, even those that are more difficult. Built with a style emphasizing comfort along with intuitive technology, Stride is suitable for patients with a wide range of hearing loss. ”¢	Stride M uses a size 312 battery for high-output power and can be fitted using a traditional hook and tube or with thin tubes. 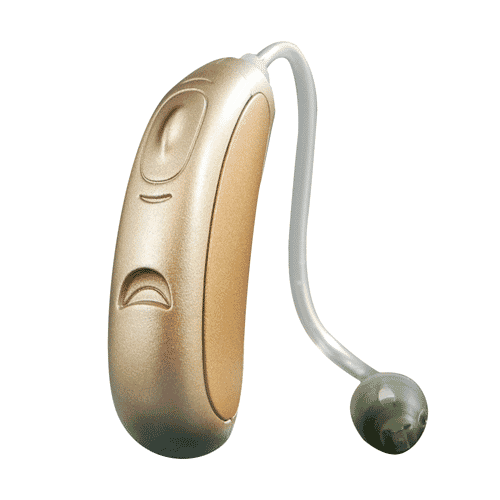 It also incorporates a telecoil feature plus user controls and is the smallest Stride model.